I honestly don’t know where to begin! We reached our minimum goal yesterday on Indiegogo with 3 days to spare!! Absolutely incredible! We could not have come this far without your support and help. Thank you. It means so much to me. We are now able to make shoot 3 into a reality! 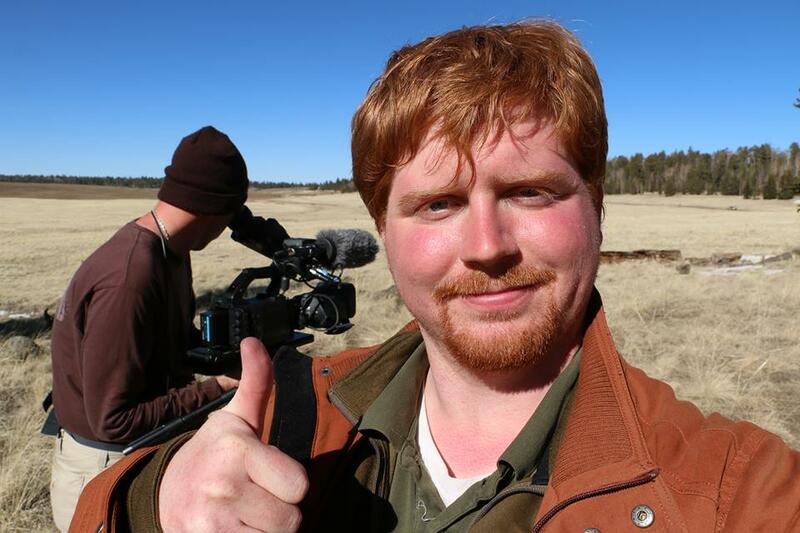 We can’t wait to get into the field to search, find, and film the elusive Mexican wolf! We Reached Our Goal, But That Doesn’t Mean We Have to Stop there! If we can reach this by August 7th (3 days from now), it will allow us to do the editing and post production professionally! With this goal met, we can hire a top professional editor to make this film stand out! That would be incredible! It would truly make this film howl for wolves! Thank you so very much for your support! WE DID IT!!! New Film Title for The Last Pack! 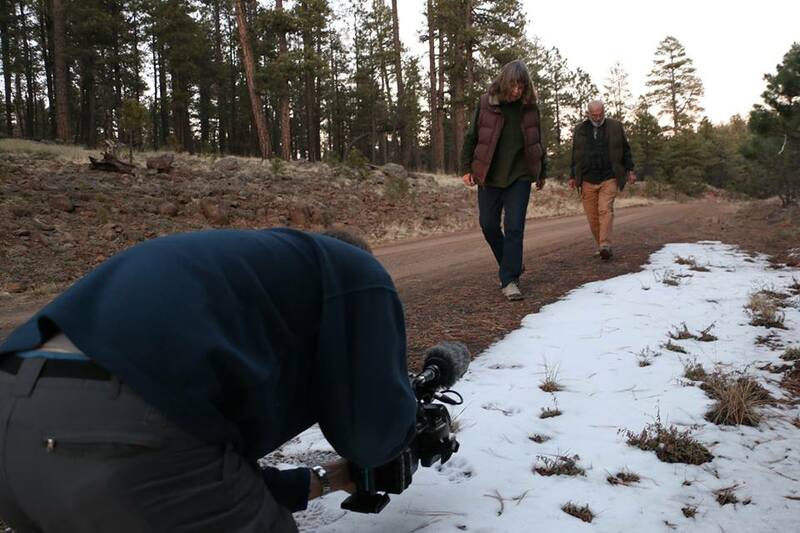 As we have continued filming the story of the Mexican wolf, we have decided to change the name of our current working title to Gray Area: Wolves of the Southwest. The further we dive into the story surrounding the Mexican wolf, the grayer the issues become. What is recovery? What does recovery mean for the wolf? What does it mean for the rancher? What about wildlife managers or wildlife advocates? 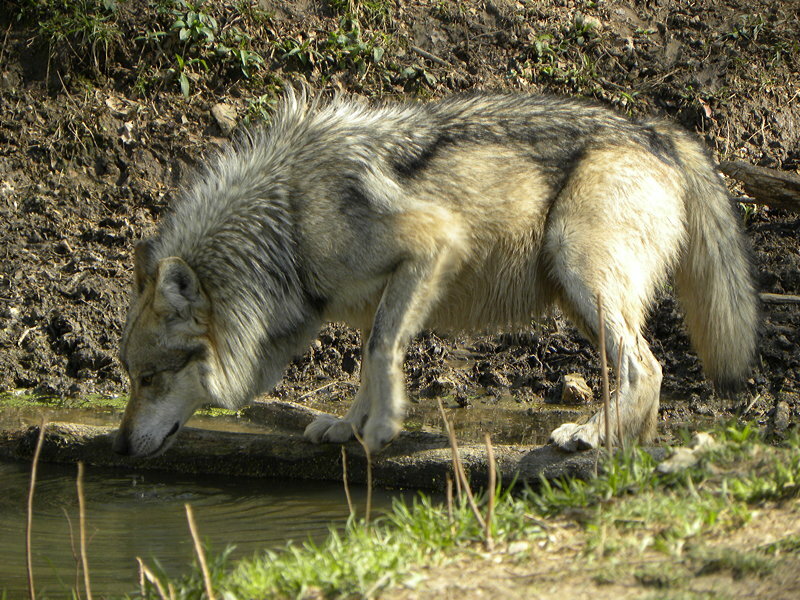 Even the area where the wolf currently is resides, known as the Blue Range Wolf Recovery Area, is a somewhat gray area. When we look at all of these issues, it becomes very clear how much of a gray area it is, it’s kind of in the middle but where exactly? 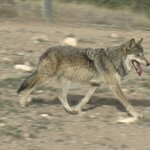 What is it going to take for the Mexican wolf to recover? The wolf itself has become a victim, caught in the middle between competing visions for the future of the west. Our focus is to reach people who are currently on the fence or undecided on the issue of wolf recovery. We want them to make up their own mind after seeing our film, presented with the facts, science, and understanding of the issues from both sides of the story. True recovery can only happen in the middle, within the mind, and then on the ground. The Last Pack: A Return to the Wild has some exciting and great news! We are excited to announce that the Wolf Education and Research Center (W.E.R.C.) 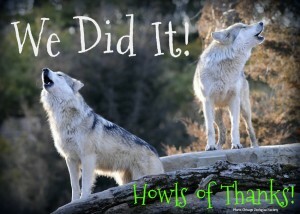 has agreed to assist us in generating awareness for the Mexican gray wolf by becoming our fiscal agent! This means that we now have the ability to offer a tax benefit to anyone who supports our film! 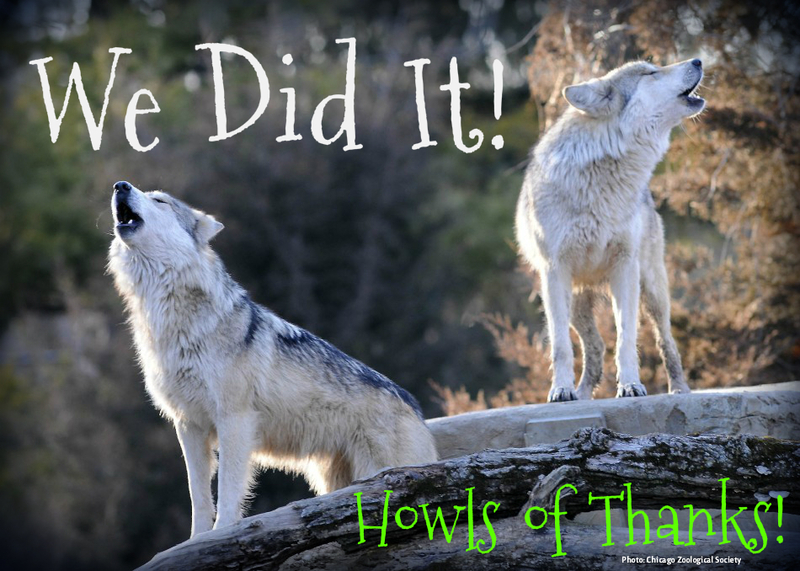 It also means that we now have the ability to reach many more people on the importance of Mexican wolf conservation in the Southwestern United States and Mexico! The Wolf Education and Research Center is best known as the center that housed the Sawtooth Pack, one of the most recognized wolves on film. It is an honor to work together with W.E.R.C on this important project. As we generate more awareness for the Mexican wolf, their recovery in the wild becomes a very real possibility. We have been diligently working on this film, and recently spent 9 days filming in the Blue Range Wolf Recovery Area during the month of March. As part of this new chapter in this project we have decided to turn this film into a full length feature film, giving the Mexican wolf even more time in the spotlight. This means that we will be working hard to ensure that we can make the greatest impact for the “lobo.” We will be returning to the Mexican Wolf Recovery Area throughout the year, capturing the footage we need to tell their story. Thanks to the W.E.R.C., we now have a platform to accomplish our goals for this film. As a thanks for becoming our fiscal agent, we will help W.E.R.C gain a greater reach by infusing our fans with theirs. As our fiscal agent, they will also receive 10% of the funds received to help them with their yearly budget and administrative costs. As they are an all-volunteer operation, this will help them meet their operational costs. In other words, your support not only helps Mexican wolves but also an organization that is working on the front lines of wolf recovery in the United States. We will be using this film as an educational based tool to promote wolf recovery once finished, and will also use it to give back to the community by helping W.E.R.C. with their yearly operational costs. They will be recognized in the film’s credits as well, for their support and assistance during production of this documentary. If you would like to receive a tax benefit by donating to our documentary film on Mexican wolves, you can do so by visiting: www.wolfcenter.org/donate and notate The Last Pack. By notating your donation to The Last Pack, we will be sure to receive it. We would like to thank the Wolf Education and Research Center for the generosity in supporting our film, and for becoming our fiscal agent. We are looking forward to working with them in accomplishing our goals in producing this film. If you would like to watch an exclusive preview of The Last Pack: A Return to the Wild, you can do so by registering to attend Wolf Education and Research Center’s Summer Celebration on June 6th and 7th here: http://wolfcenter.org/site/summer-celebration.html Film producer Alan Lacy will be showing several clips of the film, and discussing the project in two parts. You don’t want to miss it! Thank you to everyone who has made this film possible so far! You are the backbone of this project and I can’t thank you enough, especially those of you who have pledged your support more than once! Every little bit helps! 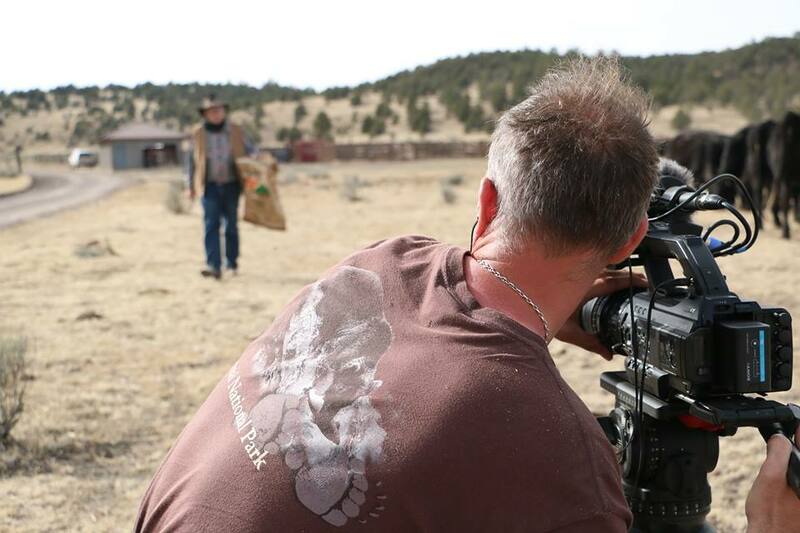 We have a few more locations we need to film yet, but your help has been tremendous! Thank you so much for supporting us, and for contributing to this film which will help people understand more about these wolves. It is vitally important to provide an accurate and clear understanding to help pave a future for this critically endangered species. 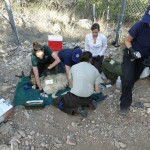 The more people we can touch with this film, the more chances these wolves have to fully recover. We want to see Mexican wolves fully recovered throughout their traditional home ranges: from the Southwestern United States all the way down into Mexico. 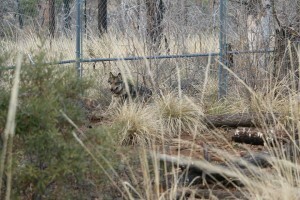 At the end of April, we traveled to New Mexico and took part in a release of two wolves, a male and female. It was incredible to participate in this rare event. With only 75 wolves in the wild as of the 2012 population count, each new wolf that sees freedom increases their chances of survival as a species. The female was pregnant, and it is hoped that she has whelped a litter of pups, increasing those chances even more. We are planning to continue filming later this year. We want to go into wolf country in Arizona and New Mexico so we can better understand these animals, and the places they inhabit. We are going to need more support, as we want to capture footage of Mexican wolves in the wild, exhibiting their natural behaviors. 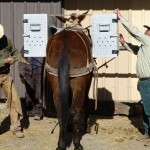 This will enable us to get a glimpse into the life of the “lobo,” and help us see wolves for who they truly are. During this trip, we want to explore the complexities that surround the Mexican Wolf Reintroduction Project, and ways we can learn to coexist with wolves. To do this we will need more help, as we are in need of a significant increase in funding. Please help us spread the word about this film. By doing so, you will help generate more awareness for the Mexican wolf and at the same time you will be helping us achieve our goal. If you are able to help us through donations, we will give you a gift in return as thanks, just look at our “how you can help” page for more info, or click here to donate. We are excited to see this film coming together, and are looking forward to seeing this film completed! Please help us get there! In the meantime, below this update you can see some of the photo’s we took while filming the release. M1133 at Sevilleta before being captured for his release. Forming a wall to capture the wolves. 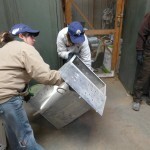 Preparing F1108 for her release into the wild. A pannier for transporting wolves into the wilderness. Both M1133 and F1108 on the Mule, ready to be packed into the wilderness. 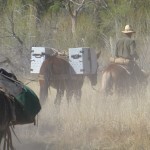 Heading into the Gila Wilderness. Thank you to everyone who has supported us so far! We are going to begin filming this weekend at the Endangered Wolf Center in St. Louis, Mo! Two of their male wolves will be transported with a female wolf from the Brookfield Zoo in Chicago to a prerelease facility in New Mexico. These wolves are slated for release into the wild next year, and we will be there to film the beginning of their journey, thanks to you! We appreciate all of your kind support, and we are working hard to raise an additional $30,000 by the end of this year. It is going to be a lot of hard work, but with the help of supporters like you, we will do it! If you haven’t donated to this project, please know that every penny helps. We appreciate any amount you are able give in support of this film for Mexican wolves. Hopefully by this time next year, we will be shipping you a DVD of the film in thanks for supporting this project! Largo, a Mexican wolf from the Endangered Wolf Center that we have the opportunity to film during his transfer to the wild. Photo Courtesy of the Endangered Wolf Center, St. Louis, MO.